Quaker Abolitionists Isaac and Amy Post from Rochester were early enthusiasts of the spirit manifestations associated with the Fox sisters. Isaac became a medium and received a series of messages from exalted spirits of the blessed deceased, among whom were George Fox and George Washington. The spirit of Benjamin Franklin revealed to Post that he had continued his experiments with electricity after his death and that new inventions would be brought to the Earth in the form of scientific ideas and specific technical plans. All new inventions, Franklin said, already existed in the spirit realm. The benevolent spirits conveyed those innovations into people’s minds, whether or not the human “inventors” knew their ultimate source. Franklin, according to his spirit, was the real inventor of the telegraph—his electrical experiments in the afterlife had born fruit and he had implanted the idea for the telegraph in the mind of Samuel F. B. Morse. The earthly, physical telegraph, therefore, was simply a material correspondence of the heavenly telegraph. 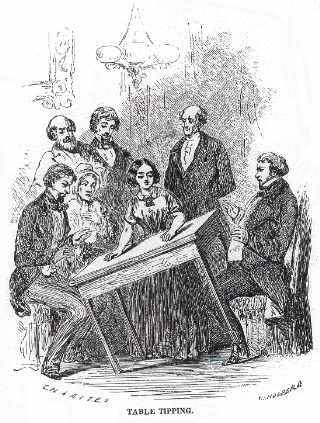 And the earthly invention and demonstration of the telegraph in 1845 was actually a foreshadowing of the spirits’ opening up of a “spiritual telegraph” between Heaven and Earth, which was established with the telegraphic rappings to the Fox sisters in 1848 and then rapidly in many other places. Let no man claim that he has made great improvements in the arts and sciences, unassisted by spirit friends. The telegraph wires would not now be conveying intelligence from one end of the land to the other, but for the assistance of disembodied spirits. We take great interest in the discoveries of science, and assist, as we find one devoted, to carry forward that which we delighted in while inhabitants of Earth. [. . .] Thus I have continued my experiments in my present abode, and have assisted those that have been instrumental in carrying forward plans of great usefulness to man, and I tire not. Earth, it seemed, was a physical simulacrum of a more fundamental realm, the one in which spirits lived. The afterlife world was not only a different “place,” it was a different “time”—which is to say that it was the Future. If contact with a blessed spirit was not only an opening to the Past—those who had passed away—it was also the vivid annunciation of the individual’s own happy future state. And the spirit realm itself, opened to the view of the medium and conveyed to others, was the image of the world’s own happy consummation. It seemed to many social reformers, then, that all the various social reform movements of the time—like the technological innovations that were changing society—were really something like a grand effort to materialize the Future through the mind of the medium onto the parlor table of the Present. The séance, one might say, was the ritual invocation of the Future. Spirits have been able to aid some few mediums to perfect certain inventions, &c. &c. That proves the time must come, when spirits will visibly aid every person ten thousand times more than any teacher ever did yet aid any learner of anything. [. . .] By spirit aid men shall yet learn how to easily make agriculture yield two or three hundred-fold more abundantly than it has ever yet done. Magnetic engines will perform, human beings will see, feel, and instinctively follow the rules of health, so as to act on the atmosphere in such a way as to regulate the rains, cold, heat, &c. of our earth. (This has been done in private circles; breezes, heat, and cold produced by spirits in a tight room.) A mode will be discovered by which any solid body (a house, ship, anything) may be made to float in the air (i.e., by causing the earth to repel it instead of attracting it); and finally, power, free of cost, just exactly as worlds are made to revolve, tables turn around rapidly, and many other things done in the private home-circles of highly respectable spiritualists everywhere. But, dear reader, everything is subject to retarding or accelerating influences. The infant grows every day; but if he gets sick he may stop growing; so with the gradual development of all that I here described. 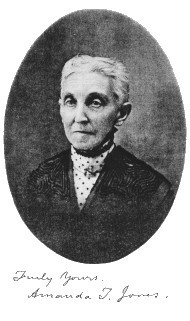 American spiritualism first traveled across the Atlantic with the Boston trance medium Maria Hayden, who made an extended visit to London in 1852 and conducted a series of widely reported séances. She had already “developed” various other mediums in Boston who became famous themselves. British Socialist Robert Owen visited her to obtain a copy of Adin Ballou’s Spiritual Manifestations. She convinced him to stay for a séance and then to come back for a few more. His experiences converted him to spiritualism. Much to the dismay of his life-long associates, Owen became deeply convinced that the illustrious spirits that were delivering messages to him were the vanguard of a force of active and benevolent spirits who were set to help America and Europe initiate the Millennium—a “New Dispensation” that turned out to resemble Owen’s own previously imagined socialist paradise, a world without class distinctions and without nation states. Although the utopia Owen anticipated was little different from what he had envisioned before, he now had the shattering certainty that it would be ushered in by a decisive, global event, sometime in 1855 or 56. To Owen, human folly seemed to have reached new heights with the carnage of the Crimean War and the displacements and confusion of the political, social, and labor unrest throughout Europe. The old governments would be overturned, Owen was convinced, by an effort in which the spirits would join ranks with the common people. The people of the Earth would need to take the initiative, however. Owen took the first step by calling a “world’s convention” (inspired by the Crystal Palace Exhibition in London in 1850, it seems) to announce the Millennium in 1855. The decisive, triggering event, he believed, would be made possible by an invention, the image of which he displayed at the convention. It was the “Devastator,” a kind of steam-powered, rolling land battleship. It was not developed under spirit guidance, but Owen’s willingness to use it to drive the world into the apocalypse was certainly strengthened by his conviction that hosts of spirits hovered nearby, ready to guarantee the world’s ultimate destiny. Despite Owen’s claim that the British Ordnance Department rejected it because the Department did not wish to put itself out of business, we may wonder whether the inventors had actually mastered the technological problems needed to field a battle tank. In addition to the “Devastator,” Owen had another millennial innovation to let the Convention participants investigate—a “new system of architecture” that the spirits had dictated to ex-Universalist minister and Boston spiritualist Simon Crosby Hewitt. The architecture was intended to represent the curved lines of nature—in this case, it seems, clutches of eggs, although Hewitt formed his plans so that the parts of the buildings all corresponded to parts of the human body, with a central communication shaft (for pipes and speaking tubes), for example, corresponding to the spinal cord. Andrew Jackson Davis, in a series of four letters to a sympathetic Hartford Times in 1853, was “impressed”—presumably by the spirits—to explain a scheme for the construction of a machine for regulating rainfall. Davis was living in New Haven, and he proposed erecting the machine on Prospect Hill. At the end of the third letter, Davis wrote, “You may expect the ‘plan for producing and controlling rain’ in my next. What that plan will be, is no more known to my brain than it is to yours. And so I confess that my curiosity to know ‘what’s coming next’ is not in the least allayed by the fact that my hand has traced the foregoing.” Davis’ last letter, clearly pitched to possible financial investors, contained the actual description of the machine. Adin Ballou reprinted it in The Practical Christian. Not surprisingly, in an intellectual climate of Idealism, in which “mind over matter” seemed plausible and in which spirits levitated “ponderous bodies,” Davis and other spiritualists placed the human will at the center of things. Davis’ spirit communicators even reduced all “motive power” in the universe to the human will. Electrical energy was imagined to pervade the universe, through the “aether,” and to constitute the intermediate state between spirit and matter, and even to constitute the love of God as dispersed through the cosmos. The spirit of Benjamin Franklin, toward the end of 1853, conveyed to medium John Spear (he announced) a set of two hundred communications purporting to contain plans for a “perpetual motion” machine, driven by “a new motive power.” More precisely, it seems, the machine was to be what is nowadays called a “free energy generator” by those interested in the subject. It was meant to collect the atmospheric energy, condense it, and re-distribute it, for use in powering other machines. But more than that, the parts of the machine abstractly corresponded to the parts of the human body. The human mind itself, the spirits said, worked by receiving ideas, storing them, and then distributing them again—it did not really generate (or as we might say “process”) ideas anew, appearances notwithstanding. Those were simply placed in the mind from the spiritual world. In good faith with the spirits, Spear and his associates built the machine on a rise in Lynn, Massachusetts, in the first part of 1854, and invested it with Millennial expectations. It would provide free energy for the benefit of all, and so embody, in a way, the idea of the selfless medium, the philanthropist, and the reformer. 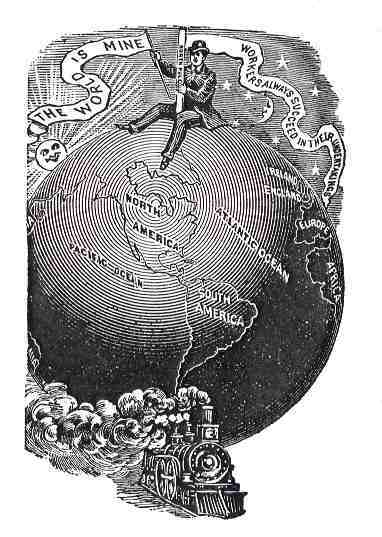 It would be “the New Motor,” and more scandalously, “the Electrical Infant,” and “God’s Last, Best Gift to Mankind.” The group publicized its grandiose expectations for the machine in their newspaper, The New Era, arousing public opposition from materialistic skeptics and pious Christians alike. Increasing the scandal was public alarm over the group’s attempt to build into the machine the ability to reproduce itself, which is to say, the group’s attempt to copy the human sexual function into the machine. One of Spear’s associates came to believe that she was to be the “Mary of the New Dispensation.” She placed herself in intimate contact with the machine and underwent (false) labor pains for a few hours, believing she had conveyed to the “Electrical Infant” her psychic energy and, thus, given birth to it. Nevertheless, the machine did not move at all, much less in perpetuity. This did nothing, however, to lessen the intense public criticism of Spear and his associates. At the height of the controversy, Josiah Wolcott, a portrait and landscape painter who had spent time at the Brook Farm community and had become a spiritualist, wrote to The New Era describing a dream of his, regarding the “persecuted” New Motor. The machine’s envisioned ability to replicate itself and to overrun, with that ability, the previous civilization, oddly foreshadowed images from H. G. Wells’ War of the Worlds, although in Wolcott’s dream, of course, the invasion was to be a benevolent one. At the end of the summer, Spear and his associates dismantled “The New Motor” and transported it to the town of Randolph in Western New York State. Not long afterwards, a gang of local rowdies, incensed by the publicity the machine had received, broke into the shed where it was being kept and smashed it. The idea of the “New Motor,” however, continued on with Spear and his followers, as the powering mechanism for a series of other spirit-guided inventions, equally unsuccessful, including intercontinental telepathic towers, an “electric ship,” and a “self-powered” sewing machine. Scientist and electrical experimenter Michael Faraday wrote to The Times of London (published on June 30, 1853) to detail his experiments, which proved to his satisfaction that the “table tipping” at séances was caused by nothing more than the sitters’ unconscious application of force through their hands to the table. He reiterated his disbelief in the spiritualist explanation of the phenomenon in a lecture entitled “Mental Education” to the Royal Society in May 1854. 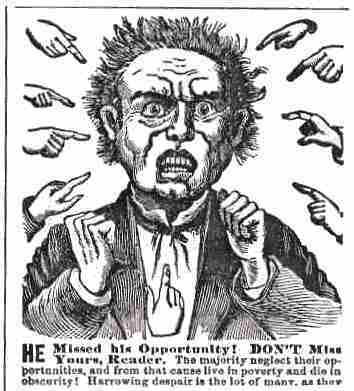 One kind of spiritualist response appears below, from The Spiritual Telegraph of March 3, 1855, a satire on what was perceived as Faraday’s pretensions and on a common target of spiritualist critique—conservative clerical authority. Clearly, spiritualists were used to reading accounts of the wondrous, if not miraculous, for apparently more than one reader of The Spiritual Telegraph, as evident in the response and comments printed afterwards, were not at all sure if it was fact or fiction. The readers of mediums’ accounts of clairvoyant travel to other planets, or of travels to ancient or future times inhabited by other cultures and technologies, or spirit narratives describing life in heavenly realms, could not always decide if they were fact or fiction, or perhaps did not worry too much about it. It was in this context of spiritualists’ “inspired” stories presented as real investigations of far times and places, that science fiction took root in the culture at large. Many of the themes that became common to nineteenth-century science fiction had already been made the object of mediums’ clairvoyant voyages of discovery. This sometimes passes unnoticed by students of literature because the accounts of “voyages” to the North Pole or into the hollow Earth, or into the sky or to other planets in levitating airships were not promoted by their “authors” as either fiction or as something that they, as opposed to spirits, had composed. Religious revelations have not traditionally been considered within the purview of fiction. The mixing of fact, fiction, seriousness, irony, hoax, illusion, imagination, and closely grounded perception is typical of “spiritualist science,” which is beyond the borderlands of where hard-headed scientists are normally prepared to go. Spiritualist mediums used “psychometry” to scry the past, to tell the stories of ancient times and places, to fill in the large gaps when little or no material remained except bits and pieces. This was possible, wrote Joseph Buchanan, because all things had all the “scenes” of their histories “daguerreotyped” onto them in layers, which could be psychically excavated and recovered. Spiritualist mediums themselves were convinced that these narrative creations were true reports of clairvoyant travels to other places and times. If the New-England Spiritualists Association’s 1854 “Address to the Public” (see the Spiritualist Listings) was willing to look forward to spiritualism’s contribution to aiding scientific investigation of the farthest reaches of the universe, the language seems more appropriate today for a convention of socially-conscious science fiction writers who might argue for science fiction’s capacity for allowing “thought experiments” of different kinds of societies. Although the spirit-backed inventions imagined here never materialized, this does not mean that other, “real” inventors of the time did not believe that their successful ideas were not inspired by the spirits. Publicizing that, however, at minimum, just might have complicated their patent claims. Amanda Theodocia Jones, a trance medium who had only a grammar school education, began enunciating messages of instruction from a group of spirits who were intent on delivering plans for the uplift of humankind. Many of these plans were for new social institutions and new forms of government, but for several periods in her career as a medium, the spirits undertook to deliver plans for inventions to her, after first explaining at length about patent rights law. In 1873, Jones received two patents for canning food through vacuum processing, an innovation that revolutionized the food industry. She also patented innovations in equipment used in oil drilling. Clearly, trance could be a creative state of mind. It is known by experience that the most difficult problems in any department of investigation whatsoever may be most readily solved when the mind is in a state of quietude and abstraction, and whilst no disturbing impressions from the outer world are flowing in through the bodily senses. If, indeed, the outer senses can become entirely dormant whilst the interior faculties maintain their full activity, as in some cases of dreaming, somnambulism, and magnetic trance, intellectual results may often be obtained entirely beyond the capacities of the mind in its normal state. The writer has recently met with an eminent mechanical inventor, a resident of Andover, Mass., in whose experience this general statement finds a practical illustration. He informed me that he seldom met with any difficulty in getting the plan of a machine to do any particular kind of work. After studying upon the plan for several hours, or at most for a day or two, his mind will arrive at a deep state of abstraction, when all at once, the model of the machine, perfectly visible to the internal eye, will suddenly present itself before him. Then, all he has to do is to clothe that spiritual form or model with tangible physical substance, and he has the object sought for. The gentleman mentioned to me several ingenious machines for doing different kinds of work, the theory of which he obtained in this way. He has paid much attention to magnetism, has a species of semi-clairvoyance in other directions besides that of mechanical inventions, and has performed many marvels in the diagnostication and cure of disease. We have read somewhere that the now universally-employed method of making round shot was originally discovered in a dream. After its originator had, to no purpose, spent much time in studying out some method of producing the article, his wife one night dreamed that she saw men pouring melted lead through a sieve, and causing it to fall from a high place into a vessel of water below, whence it came out perfect round shot. She awoke her husband and related her dream, who instantly perceived that the plan must succeed, and constructed his apparatus accordingly. W. F. “Psychological Aids to Invention,” American Phrenological Journal, November 1865: 57-58. George Francis Cobson, a spiritualist of Muskegon, Mich., has perfected a scheme, he thinks, by which he hopes at death to be able to prove positively to those still in the material state that his spirit exists. He went to Pittsburg a short time ago and obtained a large glass cylinder, so constructed that it can be sealed airtight quickly. In this cylinder he has suspended with fine copper wire two pieces of metal so light that they may be brought in contact with each other by the slightest motion of air within the cylinder. Wires pass through the cylinder, one being connected with a battery and the other with a telegraphic instrument. He has made arrangements for his friends just before the spirit leaves his body to seal him in the cylinder so that his spirit may be kept from departing, and at the same time is enabled by a series of systematic disturbances of the air within the cylinder to communicate with his friends through the telegraphic instrument. He is dying with consumption, and the public probably will not have long to wait for the test of his experiment. If it should prove successful, his friends are pledged after three days to unseal the cylinder and allow the spirit to depart and then seal up and bury the remains.—Pittsburg Dispatch. —Woodland (California) Daily Democrat, March 20, 1893. A New, Straight, Easy and Short Road to the Summit of Your Wishes!